The mud was so thick it left athletes bent double, and foreboding courses challenged even the fittest competitors to finish. When the World Cross Country Championships were first held in 1973, the event was dedicated to finding the toughest runners. As Britain's Paula Radcliffe, a two-time champion in the event, said: "The true cross-country runner should be able to adapt to any kind of country, and adapt to different circumstances. It's running, but throwing away the clocks and throwing away the distances." But fans have become worried that the raw and gruelling heart of the event has eroded. The oldest and most prestigious of athletics events has been showing its age, with a tired, unimaginative format and manicured racecourses that no longer differentiate it from road or track racing. That cannot be said for the course for this week's World Cross in Aarhus, Denmark, which promises to take the event back to its roots. Sandpits and running on a museum - what are the changes? An aerial guide to the World Championships course at Moesgaard Museum in Aarhus. Coupling the extreme and enduring aspects of the sport's origins with some modern twists, this is cross country as you have never seen it before. Competitors must negotiate obstacles such as sandpits, water holes and mud pits while completing 2km loops of the course as quickly as possible. They must also pass through a 'Runner's Valhalla' fan zone tent, and a 'Viking zone' lined with people dressed accordingly. The centrepiece of the route? The grass-covered roof of the Moesgaard Museum, which the athletes must run over each lap - 250 metres at a 10% gradient. There is also an opportunity for amateur runners who have clocked a good enough qualifying time to compete against the elite athletes. Successful candidates in 'The Search' will gain access to the same warm-up facilities and call room as the elite, and share the course with them. The weekend is rounded off with a mass-participation event on the course across a number of distances. Frederick, the Crown Prince of Denmark, will be among those testing their mettle in a 4x2k relay on Saturday. Why is the sport doing it? With the popularity of cross country waning, athletics' world governing body - the IAAF - is hoping to appeal to a new audience with the new format. IAAF president Lord Coe said: "We want to start being able to redefine it as a quest for the world's toughest runner." And with the success of mass running events and obstacle-course racing worldwide, it is generally acknowledged that cross country has missed a trick. As Radcliffe said: "Aarhus can allow the amateurs to compete on the same testing course as the elite and really appreciate how impressively quickly they move over that course." The International Olympic Committee will also have an interested eye on Aarhus as the sport stakes its case to be reinstated to the Olympics. Paris 2024 is the next available Games to pitch for, and coincides with the 100th anniversary of when the discipline last featured in the programme - also in the French capital. In 1924, 'Flying Finn' Paavo Nurmi took victory in a men's race which the vast majority of runners failed to finish in sweltering conditions. It is that extreme element the sport hopes to tap into in its quest to return to the biggest stage. And could the new-look event bring about the end of unrivalled East African dominance in the World Cross Country Championships? It's 18 years since a European man took gold in the senior event. We're obsessed with records and comparisons and it's very difficult to say who the best cross-country runner was because they're all different. The courses are different too. One person can win one week, and on the same course the following week it could be someone else. That is a problem for cross country and I think the way to market it is as something different. You can go to cross country and the time is irrelevant. People are enjoying running, hopefully in really nice environments, getting muddy and getting wet, and with a bit of social around it too. Hopefully that's what Aarhus will do; I just hope they don't go too far with messing with the integrity of what cross country is about. 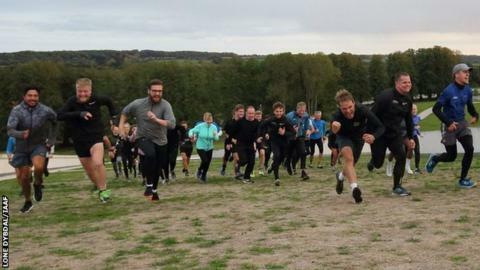 We've seen the growth of obstacle-course racing and my worry is they will try to attract that kind of market to cross-country running because somehow the two events look a bit the same - well they are, but they're not. Obstacle-course racing is very popular but it's a challenge rather than competitive. There's a danger you're trying to mould traditional cross-country running into something that widens its appeal but ends up falling between two stools. I think the danger is that we've now moved too far away from traditional cross country that you can't really get back to it by making it a little bit gimmicky. You've got to keep the core elements there and it's still got to be about who's the best runner.